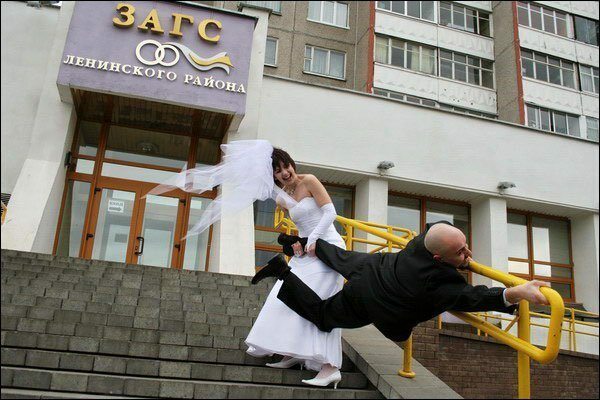 Nobody panic, he's just looking for the ring. 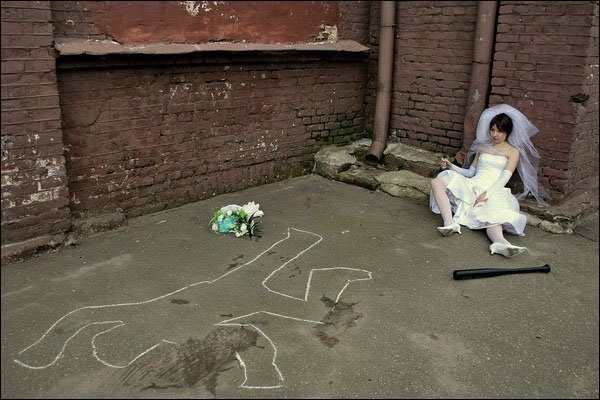 It's my crime scene, and I'll cry if I want to. 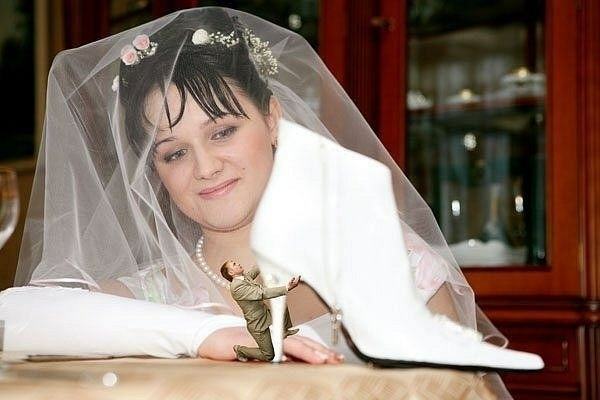 The tiny-groom-grasping-high-heel is a veritable staple in wedding photography these days. 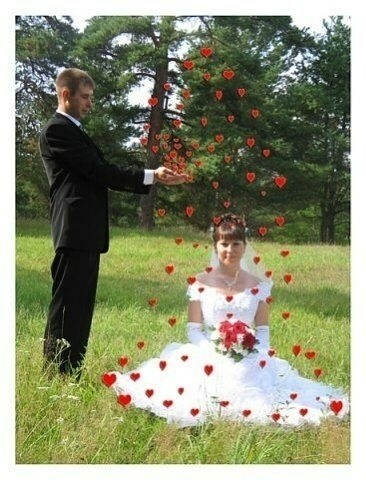 Magical Lettuce Babies are a fantastic way to hide pre-marital conception. 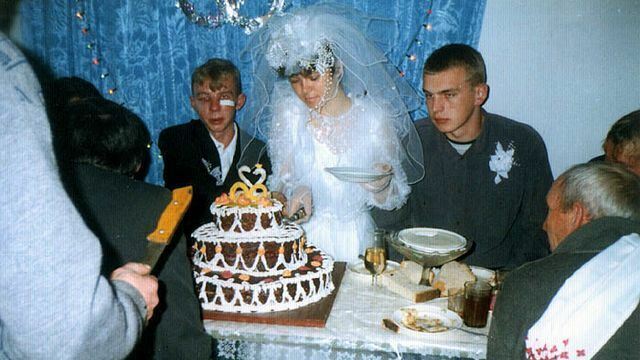 Join Katya, Oleg, and Homeless Joe for their happy day! 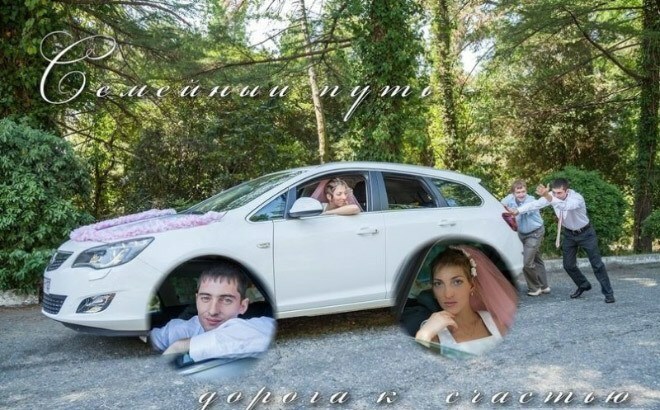 The wheels on the Lexus go "Svetlana and Igor" all through the town. 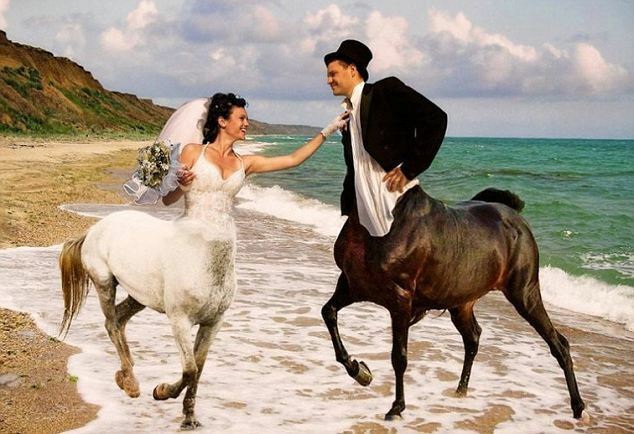 Who says you can't save money on honeymoon travel? 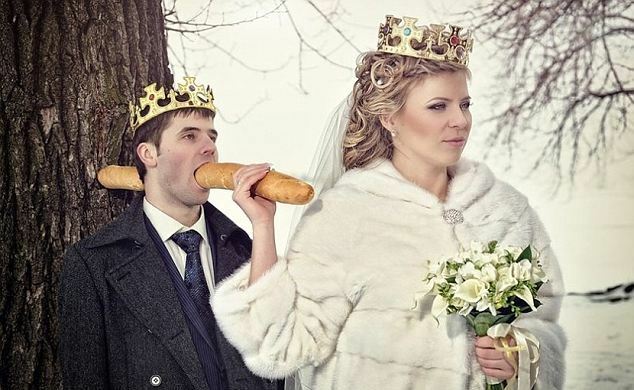 Thanks to Buzzfeed, 9gag, and Huffington Post for some of the images above. 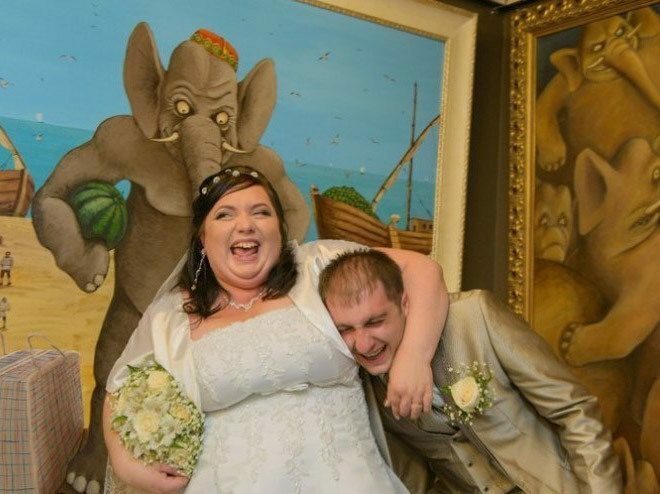 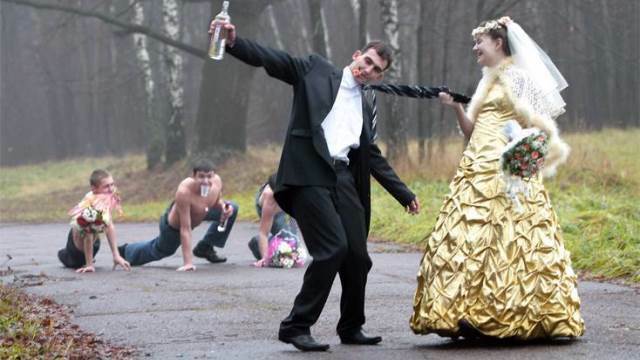 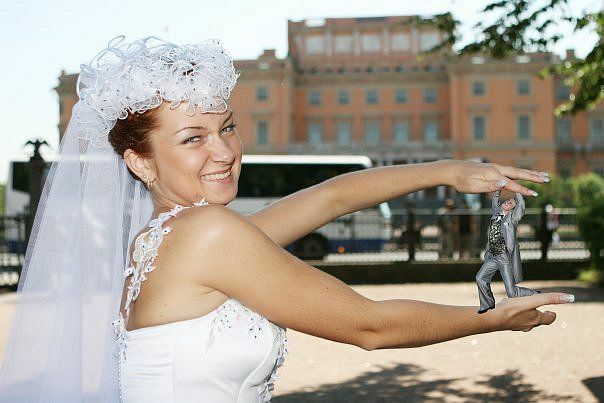 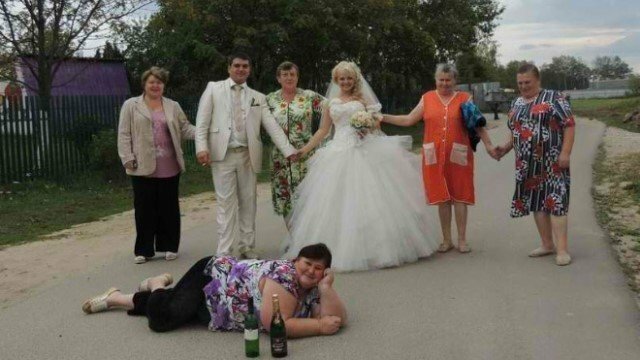 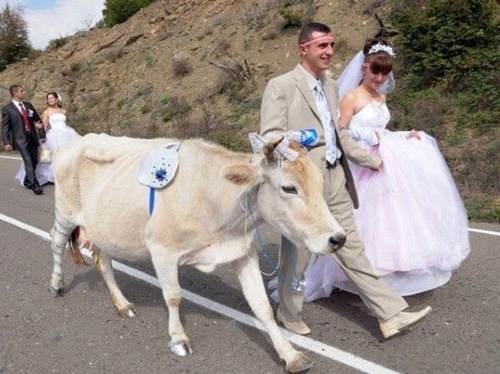 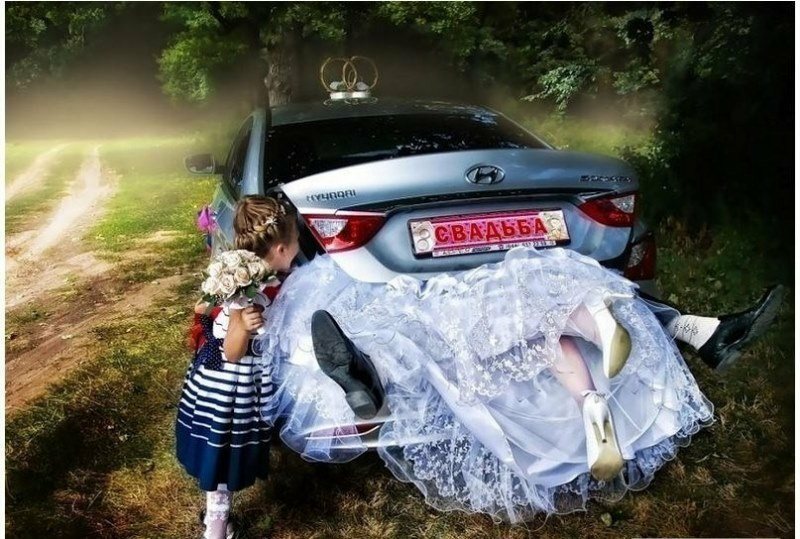 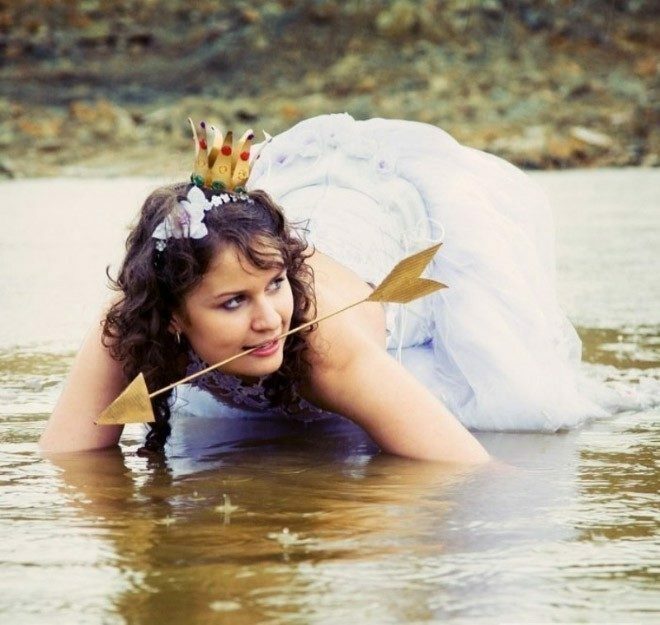 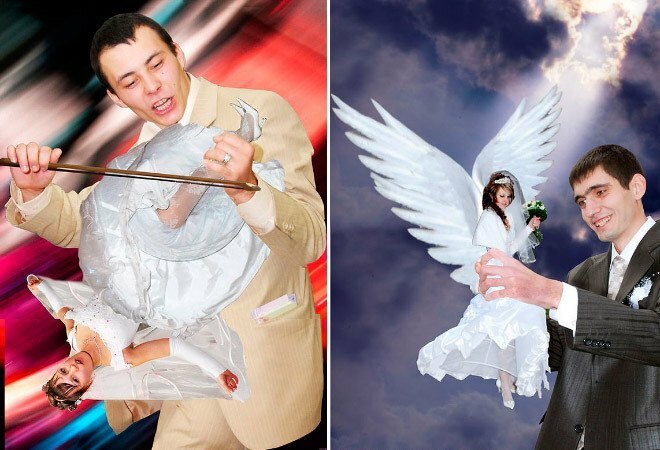 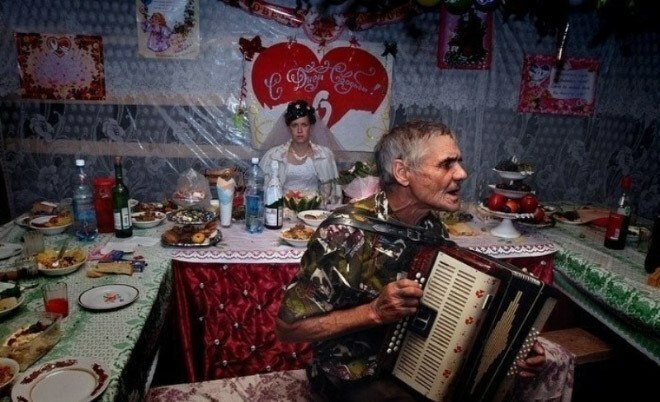 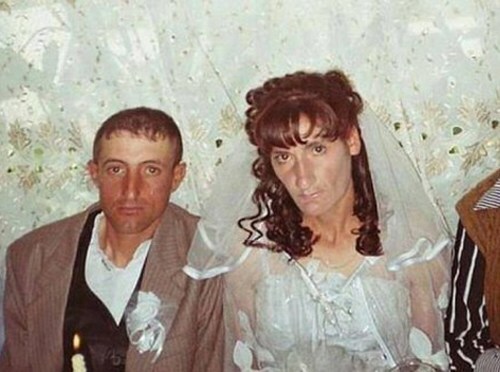 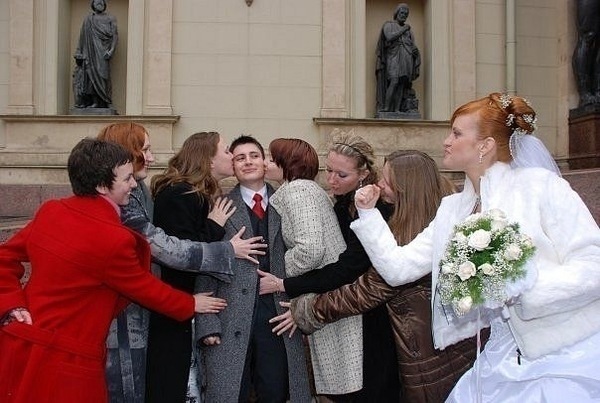 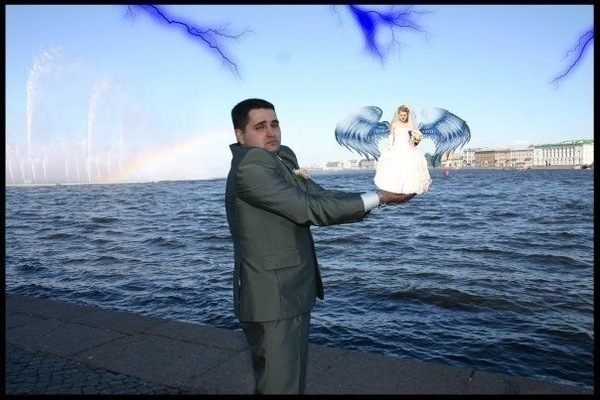 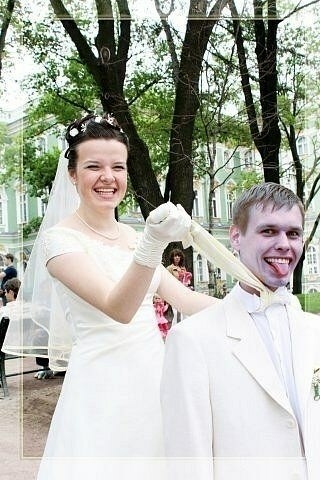 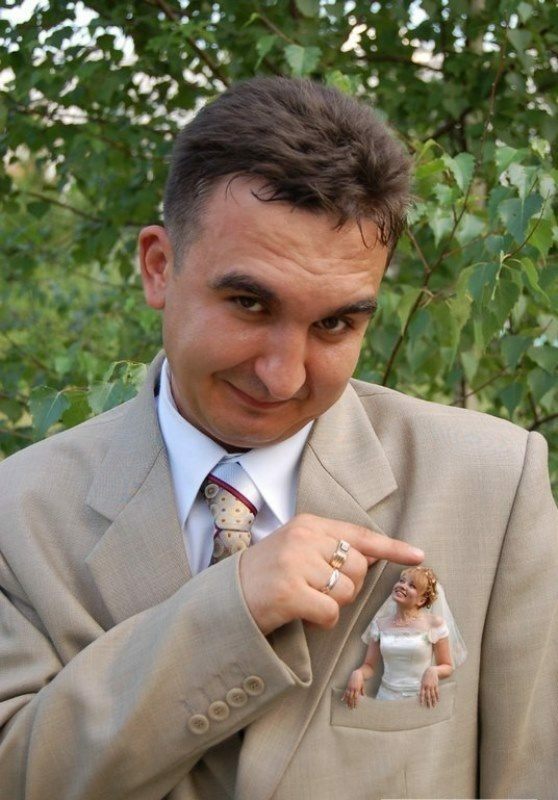 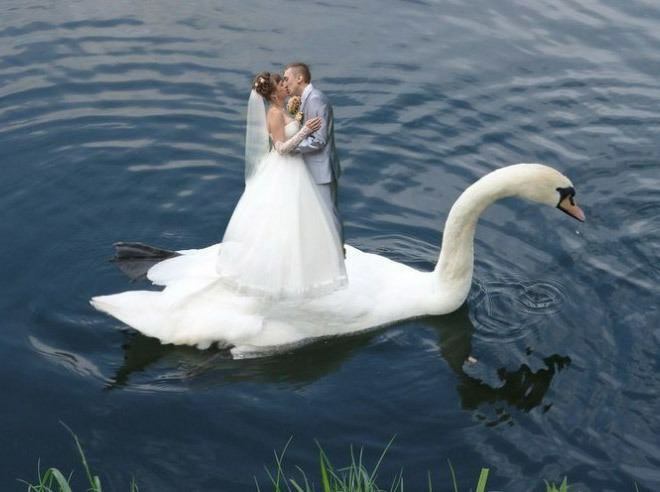 Enjoy these insane Russian wedding photographs? 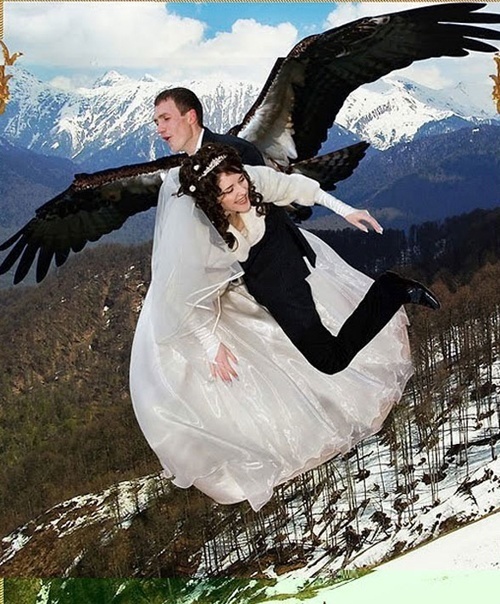 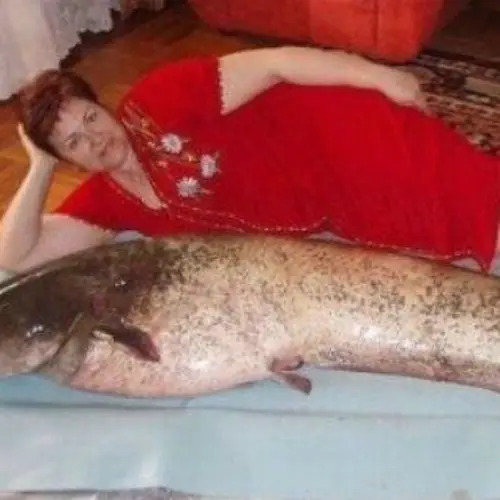 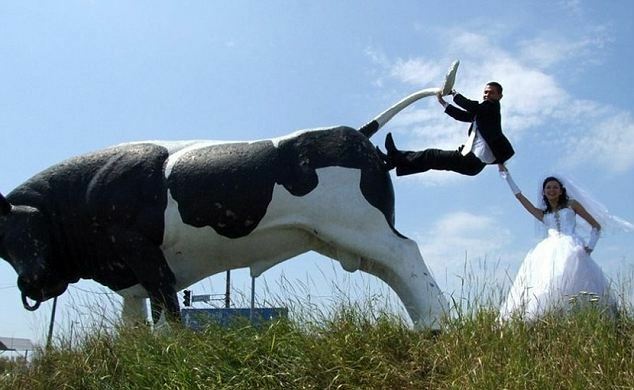 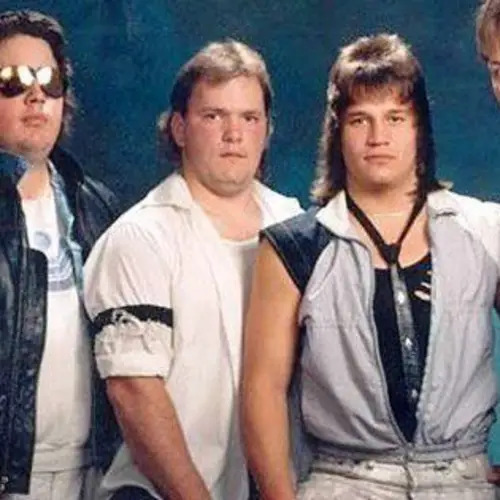 Then check out our other posts on why Russia is the weirdest place on earth and absurd Russian dating site photos!